Isn't Shadow Big Bear Mom's (aka Jackie) son? And they mated? I really tried to catch up on the BB nest history, that is as far as I got. 11:30 Snowing ! 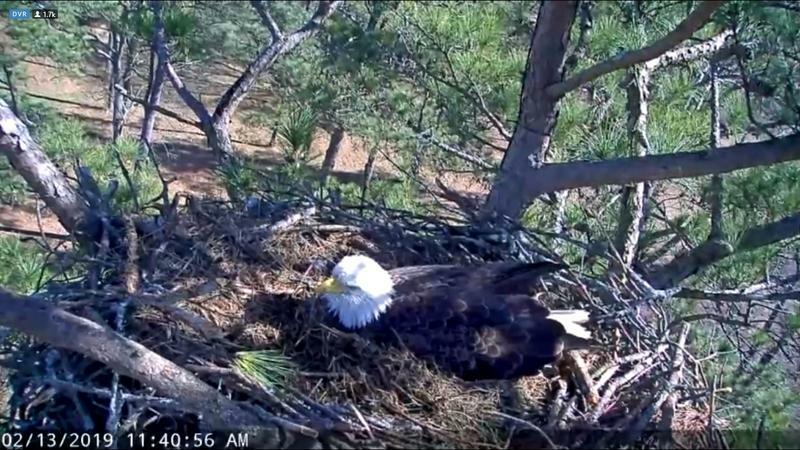 Mom came to the nest and found the leftovers of the Coot which was brought yesterday, by Shadow. ... 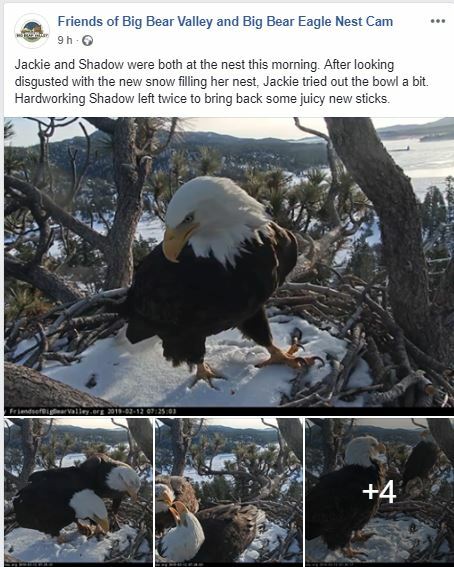 Isn't Shadow Big Bear Mom's (aka Jackie) son? And they mated? I really tried to catch up on the BB nest history, that is as far as I got. Thank you, Solo, for the links. That is what I was looking for. Solo thank you for the pictures. 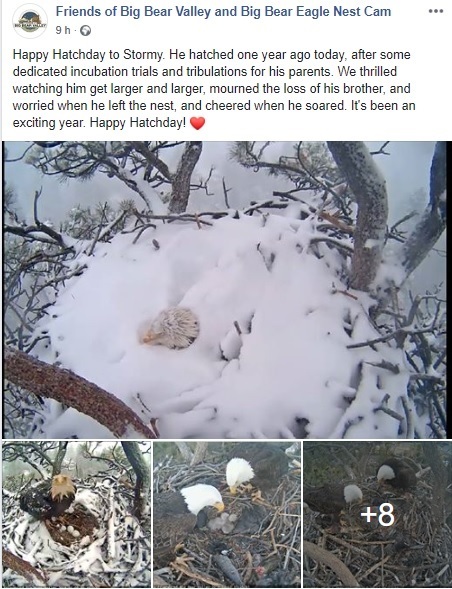 It's nice to see, that both were on the nest. 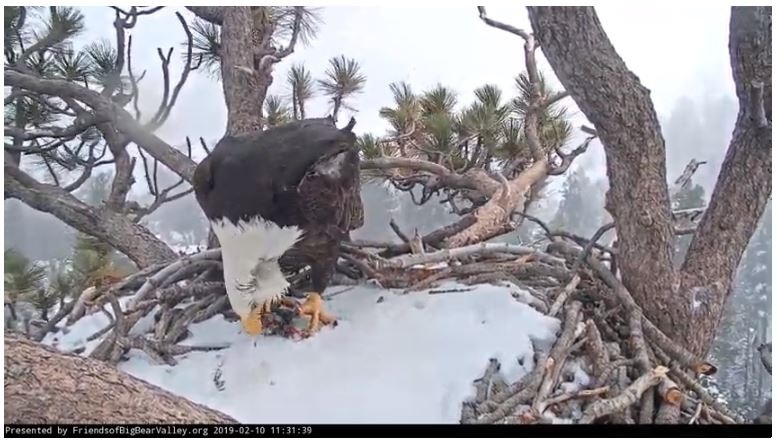 2:54 BB Mom tucked in for the night..
After losing both of her eggs earlier today, A-48 lays her third egg of the 2019 season! Congratulations A-40 & A-48! 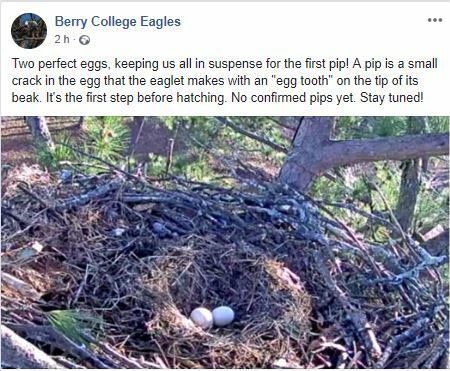 This is a ray of hope and talons crossed that this egg will not break! 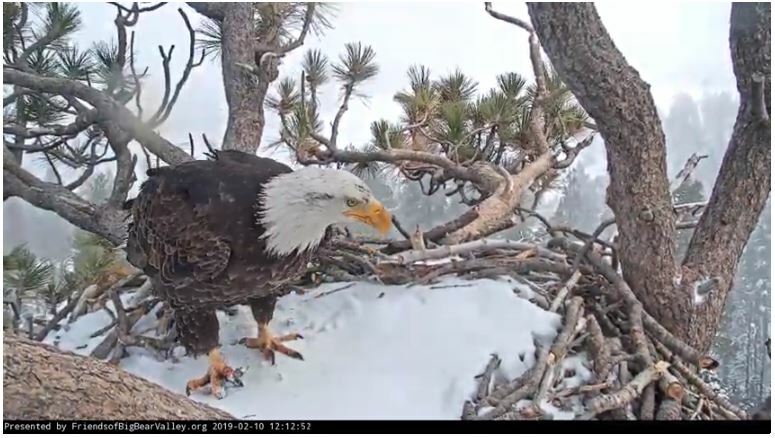 February 12th - BIG BEAR CA. They turned around on the snow. He flew and came with a dry big branch. They touched each other and he tried to kiss her.